Increase engine efficiency, reduce maintenance, and lengthen valve life. 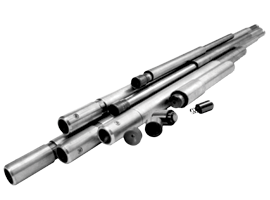 CECO Magnum hydraulic pushrods increase engine efficiency, reduce maintenance, lengthen valve life, and are significantly superior to other hydraulic pushrods. In addition, the Magnum is virtually maintenance-free under ordinary operation, and seldom needs disassembly. CECO Magnum pushrods are available in sizes and styles to fit any stationary engine application: Clark®, Cooper®, Ingersoll-Rand®, LeRoi®, WhiteSuperior®, Worthington®, and Waukesha®.